The wags will quip and Mr M certainly did, to my delight, though I might more properly have been Mrs Fjäll, but that’s neither here nor there. 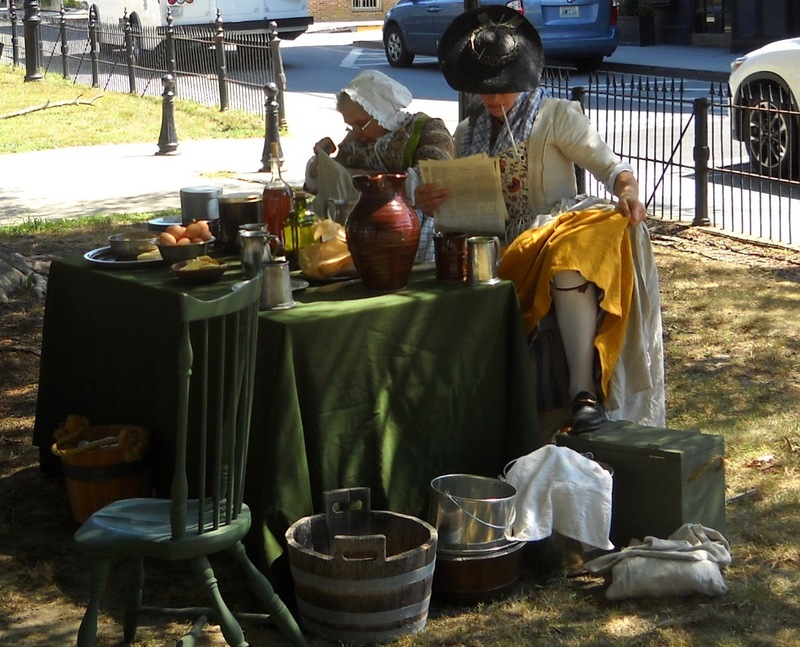 We offered games, beverages, and tavern food as best we could in the makeshift setting of Washington Square in Newport and served as the site of an impressment riot based on incidents involving sailors from the Maidstone in June, 1765. 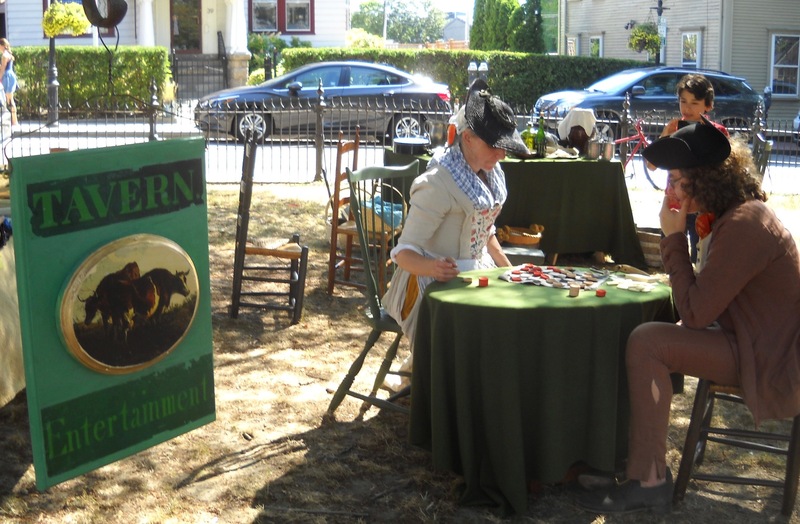 Custom had been brisk before the Royal Navy so rudely imposed upon our establishment, and dragged off some of our best patrons– leaving their debts unpaid, of course. We resorted to more gaming, though even that was risky: a young, possibly motherless thief whose trousers barely contain his calves made off with our winnings, and had to be chased down. Fortunately, despite her propensity to smoke, the barmaid was able to apprehend him and, money restored and apology made to Mistress B, we allowed him at our table– I believe we are a better influence than the company he had been keeping, as our trade is honest even if modest. Much was on offer in town on Saturday, and while Miss C had advertised Hogarth and Sandby throughout the morning, by late in the day, she still had no offers, and the pair were advertising themselves effectively. 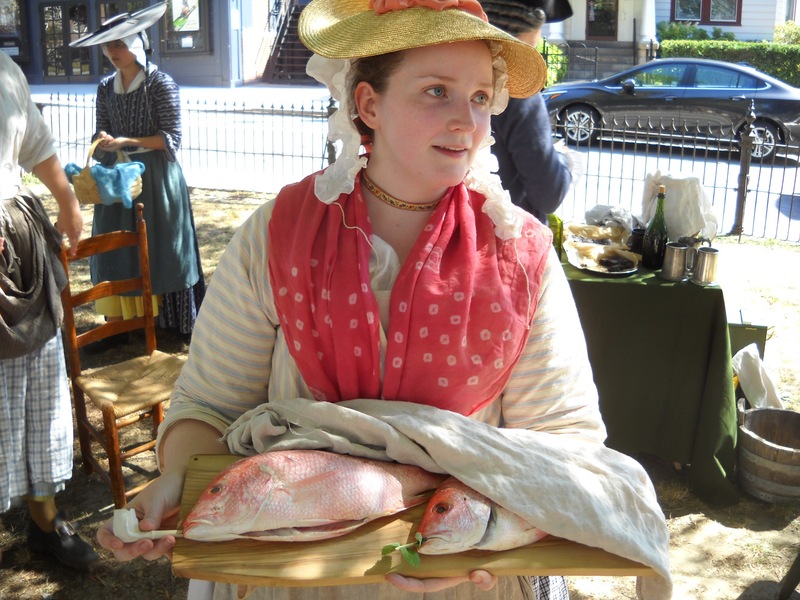 ‘Tis a pity, for with fish unsold, another day passes and Miss C’s gown remains in pawn, and her shiftless husband’s shoes as well– even the Navy did not want him, for he professes never to work and affects half-wittedness that conceals his natural wit. 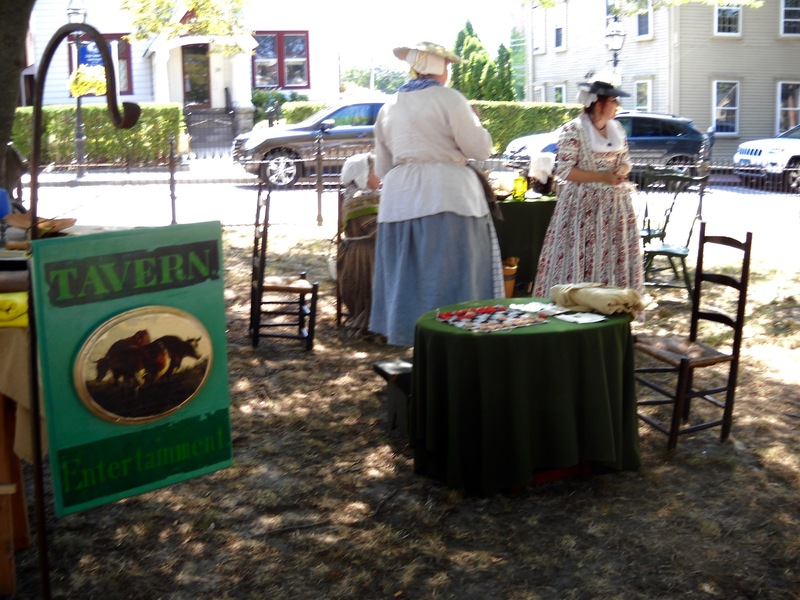 Despite hiccups along the way, setting up a tavern on the green, even in this kind of makeshift way, allowed us to do something I’m always excited about: interpret the history of working women. Serendipitously, one of my favorite books delves into the history of women and business both large and mostly small, and examines Newport. The Ties that Buy, by Eleanor Hartigan-O’Connor is one of the best books on 18th century women’s history that I’ve read, making clear that women, despite their restricted legal status, conducted business, had lines of credit, sued for non-payment of debts, and participated in expanding consumer networks. This book, in addition to research into punch, alcohol, Rhode Island taverns (and I’ve got ready access to tavern ledgers) grounded the interpretation of the Sign of the Two Old Cows. 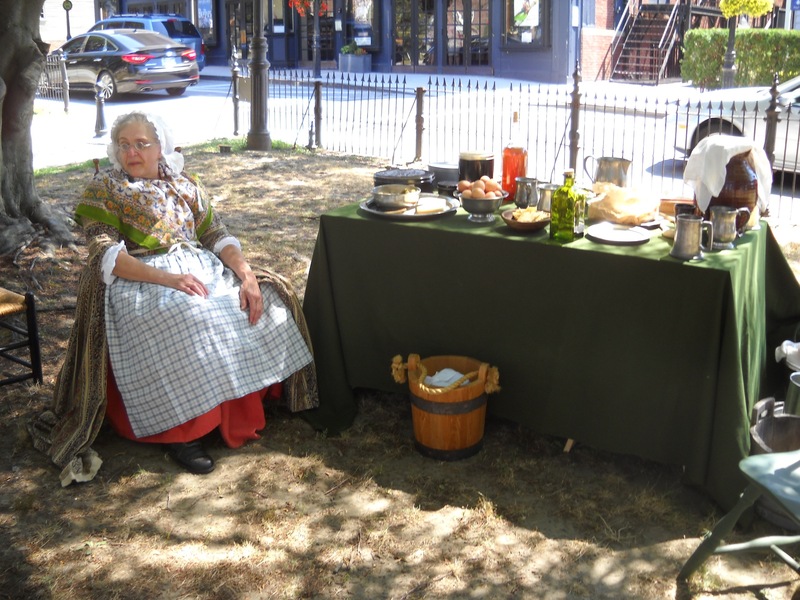 The best part of the intersection of living history and research is bringing actual people from the past to life, and reshaping the way the public understands and appreciates history. For Two Old Cows and a book, I think we did pretty well. I think we deserve a bit more credit than you make it sound. There’s more going on here than “two old cows and a book”! 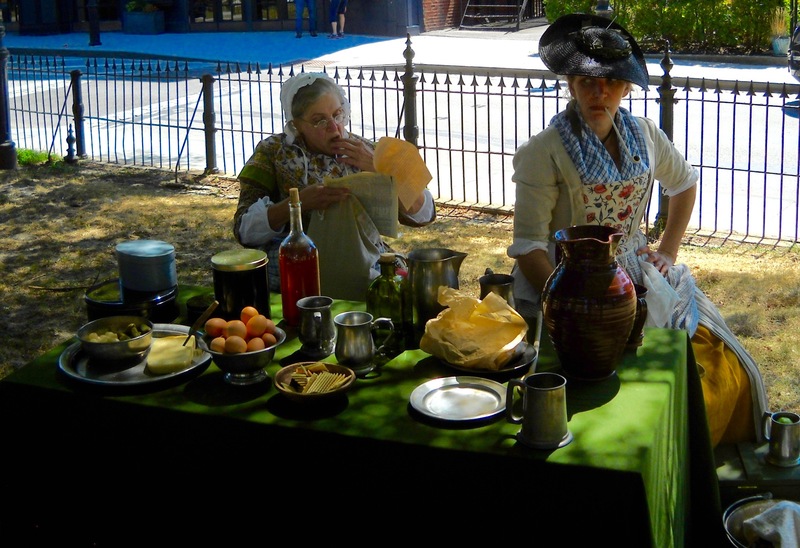 For one thing, we each bring years of experience, research, and accumulated general information, which allow us to fill in plausibly what the documentary record glosses over, for example, what kind of “bar food” would a common waterfront tavern be serving in Newport in the summer season of 1765? Everyone says we did an outstanding job, so it must be so.